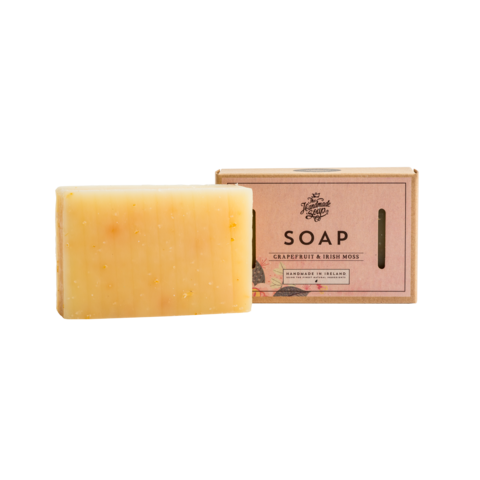 Handmade in Ireland, this soap contains some of the finest natural ingredients that have untold health benefits both externally on the skin and internally in the body. People often forget that what they put on their skin is absorbed into the body. Therefore, making the choice to use natural skincare products can be one of the best choices you can make for your health. At Watt Footprint, our aim is to educate people on both the benefits natural products and ingredients, not only for our personal health, but for the earth in the ever growing battle against climate change. This stunning, fragranced soap, bursting with natural fragrances has a lesser chemical base than other soaps on the market. As well as this, the soap itself comes with easily recyclable packaging in comparison to other skincare products like liquid soap and body wash for example. Citrus Nobilis (Mandarin) Peel oil, Litsea Cubeba (May Chang) oil, Amyris Balsamifera (Amyris) oil, Pogostemon Cablin (Patchouli) oil, Chondrus Crispus (Carrageen Moss). All above ingredients are made from plants & vegetables, coconut, seaweed or are pure essential oils. Olea Europaea (Olive) Fruit Oil provides the skin with antioxidants and like Vitamins A and E that helps the skin repair and renew. Citrus Nobilis (Mandarin) Peel oil has antiseptic attributes and can protect wounds from becoming infected. Chondrus Crispus (Carrageen Moss), an Irish moss that contains many essential vitamins such as Vitamin A, Vitamin E and Vitamin K. It helps to soften the skin, reduce wrinkles and treat skin conditions such as psoriasis and eczema. Citrus Grandis (Grapefruit) Peel oil has multiple health benefits. The grapefruit essential oil has significant antiseptic attributes making it ideal for application on bruises, wounds and acne. In these cases it also prevents the threat of infection.